For many librarians, the Youth Media Awards are more than months of Caldecott and Newbery predictions with colleagues followed by endless debate over the choice of winners. There are posters, displays, PowerPoint presentations, lesson plans, exclusive sections in the library and, sometimes, a permanent place on the shelves. Lemons Mill Elementary (Gerogetown,KY) library. “I don’t weed Newbery and Caldecott winners,” says Kate Nafz, Fair Lawn (NJ) Public Library’s head of children’s services. “I feel like if you win the Newbery or Caldecott, you kind of have immortality as a book. I just won’t do it. We have some books on our shelf that are so old looking and some are no longer in print, but I keep them here, because I think they’re part of the canon.” The Youth Media Awards, sponsored by the American Library Association (ALA), recognize outstanding work for children and teens. 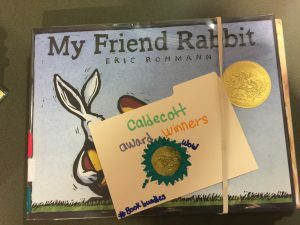 Of the more than a dozen awards, those administered by the Association for Library Service to Children (ALSC), including the Caldecott and Newbery, are the most established and have the most clout. The Caldecott Medal, awarded to "to the artist of the most distinguished American picture book for children," and the Newbery Medal, given to "the author of the most distinguished contribution to American literature for children" are arguably the biggest honors at the annual ALA event. When the winners are announced on Monday February 12, Nafz will immediately put up a sign of congratulations and put the books on display—or order them if she doesn’t have them already. Not only will the parents in the area want to know the winning titles, she says, as the children’s librarian in a district with no elementary school librarians, she provides teachers with the books, as well. At St. Joseph County Public Library (South Bend, IN), an immediate book order is placed and stickers are put on the copies they have already in circulation. There is also a winners display, but it doesn't stay up long, because the books are typically checked out so quickly, according to youth services department manager Theresa Horn. The staff will also update the winners list on the online catalog so patrons can find and reserve them quickly, she says. Many school librarians across the country create lesson plans center around the awards and honored books. 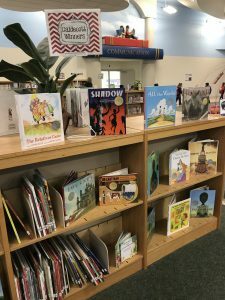 Library media specialist Melanie Bishop calls her Caldecott lessons “a huge part of our library curriculum” at Lemons Mill Elementary in Georgetown, KY. Her students study the medal's significance in children’s literature, learn about illustration techniques, and discuss notable or interesting choices and compare past winners. After the announcement of the 2018 winner, Bishop will revisit the topic. “The students gain so much knowledge during this unit. They love spotting winners throughout the year and for years after!” Bishop wrote in an email. Mollissa LeMay, literature and technology teacher at Hilltop Elementary School in Mendham, NJ, goes beyond the Caldecott and Newbery. LeMay introduces her second through fourth graders to the winners of the Coretta Scott King, Pura Belpré, Schneider Family and Robert F. Sibert awards. For her kindergarten and first grade students, she focuses on the Caldecott Medal and Theodor Seuss Geisel Award. This year, she has introduced mini-collections of books called BookBundles and students-curated bundles of award winners. The BookBundles contain some of their favorites, but the kids don't always like the honored titles as much as the selection committee. Award winner book bundles at Hilltop Elementary in Mendham, NJ. “Plenty of times I buy these books and they sit,” Nafz says. “But I feel like we should not just have what’s popular but also what is considered quality, and I have to trust the committee to determine what is quality.” Sherry Durham, library and media specialist at Owensboro Catholic K-3 School in Owensboro, KY, says 2016 Caldecott winner Finding Winnie by Lindsay Mattick is a favorite of her students. Nafz points to Newbery winners The Giver (1994) by Lois Lowry, Holes (1999) by Louis Sachar, The Tale of Despereaux (2004) and Flora and Ulysses (2014) by Kate DiCamillo, and One and Only Ivan by Katherine Applegate (2013) as some of the honored books that are also loved by her readers. No matter what books win, it’s an exciting time for children's librarians, authors, illustrators, publishers and, they all hope, children, too. “This is one of my favorite weeks of the year,” says Durham. What will you be doing with your students and library patrons after the awards are announced? Which winners have been their favorites over the years? Let us know in the comments below. As the excitement builds to the 2018 Youth Media Awards announcements on February 12, slj.com takes a look at the Caldecott and Newbery Medal books' impact on librarians, the winning authors and the children's publishing industry.